Search the newest real estate listings in Kauai golf communities below! The stunning island of Kauai is largely known for their incomparable golf courses. Visitors travel here each year just to experience these incredible courses and it's not difficult to see why. With their perfectly challenging layouts and unsurpassable views, the Kauai golf courses will make you never want to play anywhere else. And if you're lucky enough to own a home in one of the many Kauai golf communities, you'll likely have family and friends visiting often. From homes in Koloa near the Kiahuna Golf Club to residences in Kukui'ula near the Kukui'ula golf course, these estates offer unparalleled golf facilities. Browse some of the island's real estate listings in golf communities or continue reading about Kauai homes for sale in golf communities. 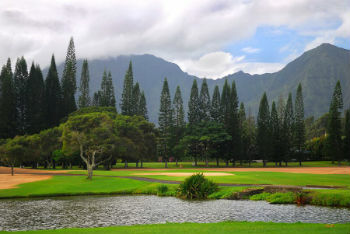 Get Real Estate Listings in Kauai Golf Communities Before Your Competition! There are an abundance of homes for sale on Kauai in golf communities, many with both course and oceanviews. Residents can enjoy the sunrises and sunsets over the Pacific ocean and stunning sloping mountains. Whether you prefer to be right on the golf course or within walking distance to the clubhouse, you'll be able to experience a wealth of all things golf. And the interiors of these homes are unlike any other. From spacious and open floor plans to wet bars to decorative crown molding, the homes for sale in Kauai golf communities exude luxury living. Additionally, the expansive lanais and infinity pools offer front row seats for golf games. Don't worry, most of the properties provide lush greenery, promising the privacy you desire. It's not difficult to see why Kauai golf communities are so sought after and don't stay on the market for very long. Contact Anne Eliason, Kauai's real estate professional to learn more about Kauai homes for sale in golf communities.